Diamonds are widely considered to be among the most beautiful, elegant, and sophisticated gemstones on the planet, as well as some of the most desirable. Nonetheless, stories abound surrounding the mysterious circumstances and misfortunes that have haunted the owners of famous diamonds. Many of these stories have likely been embellished throughout history, but they still capture our imaginations, like the wondrous gems themselves. 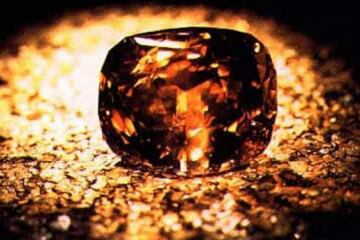 Here are 10 of the most notorious diamonds in the world which are believed to carry a curse. While the Koh-i-Noor Diamond may not be the most well known, it has a long and detailed recorded history, and has certainly been hard to hold onto. The diamond’s name translates to ‘Mountain of Light’. According to the mythos surrounding it, the gemstone was stolen from the sleeping god Krishna. It was certainly stolen from someone, in the year 1304, when it was entered into the Mughal chronicles. It was then stolen by the Persians, who managed to hold onto it for 110 years. Then the East India Company came along and snagged it from the Persians. It has resided with England ever since. This diamond is also from India, discovered in the early 19th century. It was apparently stolen by a Hindu monk from an idol in a shrine near Pondicherry. Some believe that the theft of the diamond from a holy site conferred a curse on the black diamond and its owners, including the Princess Nadia Vyegin-Orlov, who owned it later in that same century. After fleeing the Russian Revolution and selling off her jewels, Princess Orlov jumped off a building in Rome on December 2nd, 1947, falling to her death. J.W. Paris, who owned the diamond earlier, also committed suicide in 1937, less famously, but just as tragically. Originally this diamond belonged to India until 1739 when Nader Shah of Persia came in and conquered India amid much bloodshed. 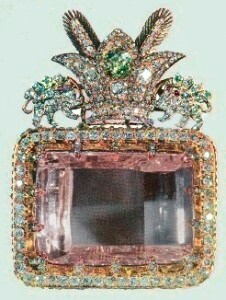 The diamond was part of the blood money paid to Nader Shah by the Mughal emperor in return for Nader Shah leaving the country. It has remained with Iran ever since. 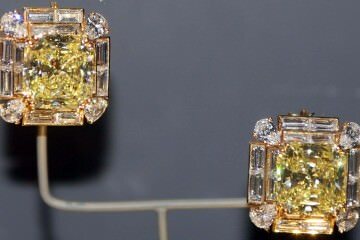 This yellowish diamond is believed to come from India as well. Its early history is vague at best, but it was famously owned by King Henry the Third, who wore it on his cap. King Henry IV tried to use it to pay for a new army, but it never arrived at its intended destination, and was discovered during an autopsy in the gut of his deceased messenger. Today it resides in the Apollo Gallery at the Louvre. This pink diamond was named after Hortense, an adopted relative of Napoleon. 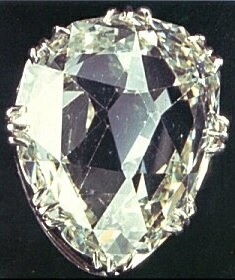 The diamond was stolen in 1792 from the royal family, later recovered, and then stolen once more in 1830. When it was again recovered, it had developed a crack. This flaw has hardly affected its value, thanks to its legendary history. This diamond is also now on display in the Louvre. This lasque-cut diamond has a rough but elegant look to it, and is engraved with the names of three different Shahs. While the diamond is not that well known for its appearance, it is valued for its rich and bloody history. 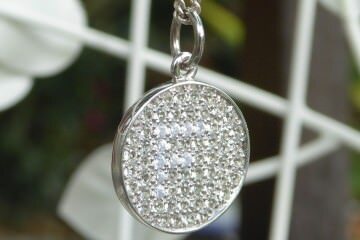 The diamond was repeatedly seized, misplaced, and retrieved by the rulers whose names adorn it. 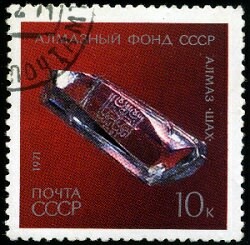 The diamond was paid to the Soviet Union by its final Persian owner in 1829 as blood money for the murder of a Russian diplomat. It is still the property of Russia today. The first diamond recorded as being discovered in South Africa was found by a young shepherd on the shores of the Orange River. Rather foolishly, the boy’s family simply gave it away to a curious neighbor. It changed hands several times before being purchased by Sir Philip Wodehouse. It again changed hands numerous times, and is now on display at the Kimberly Museum in South Africa. By all accounts it remains unclear whether the boy received any compensation. 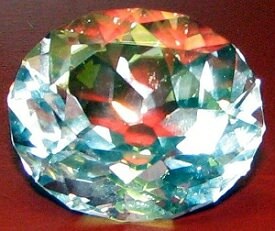 This diamond is also known as the Cullinan I. It is among the largest diamonds ever discovered, and considered notorious because it currently rests in the Tower of London as part of the Royal Scepter of King Edward VII. The diamond was the first piece cut from the original Cullinan diamond, which was more than 3,000 carats originally and the biggest diamond in the world. This diamond was also known by a number of other names, including the Tuscany Diamond and the Austrian Yellow Diamond. Its history prior to 1657 is hazy on all accounts, but after the fall of the Austrian Empire, the imperial family took it with them when they fled into exile. In 1918, the diamond was stolen from the family, and has never been seen again. The diamond may have been cut into smaller pieces, and it is quite likely it no longer exists in its original form, an ending which mirrors the dissolution of the Austrian imperial reign. 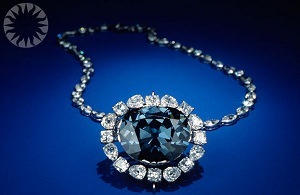 The Hope Diamond is practically synonymous with notoriety. The deep blue diamond came from India, and some believe it was cursed because it was originally stolen; no one can confirm this element of the story one way or another. The first famous owner of the diamond was Louis XIV. It passed down through the royal line, and was eventually stolen during the French Revolution. Legend holds (probably inaccurately) that Marie Antoinette was executed wearing it. Twenty two years later the diamond resurfaced and was purchased by King George IV, who then resold it to pay off his debts. Next, a collector named Philip Henry Hope owned the diamond. His family went bankrupt, and Hope’s great grand nephew was forced to sell it in 1901. It changed hands several more times before being purchased by a wealthy woman named Evalyn Walsh McLean. Walsh’s son was killed in a car accident when he was nine years old, and her daughter killed herself at age twenty-five. Her husband was confined in an asylum until his death. These events continued to feed the Hope Diamond legend. Walsh never believed that her misfortunes had anything to do with the diamond, but naturally many enthusiasts have believed otherwise. 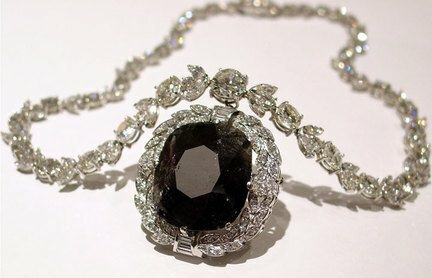 It was then sold to pay off debts in 1949 to Harry Winston, a jeweler from New York. Winston donated the diamond to the Smithsonian Institute, where it still resides today. According to the Smithsonian, the diamond has brought nothing but good fortune to the museum, and is among the prize pieces in its entire collection. 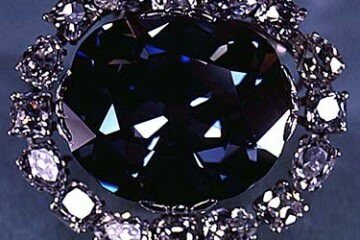 The Hope Diamond legend in particular has probably been embellished and elements of it were straight made up. Nonetheless, it is clear from the history of these diamonds that gemstones as precious as these are highly coveted. This is why they are likely to be stolen or to change hands to pay off debts of money or even blood. Their magnetism has surrounded them in an epic mystique of legend as alluring as their sparkling facets and shimmering depths.